Crime Writers' Association Debut Dagger Shortlisted for his novel Born in a Burial Gown. 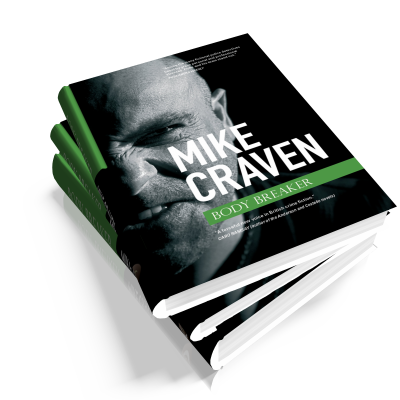 Although he was born in Cumbria in 1968, Mike Craven grew up in the North East, going to the same school as Newcastle and England centre-forward, Alan Shearer, before running away to join the army. He trained for two years as an armourer (that’s gunsmith to you and I) before spending the next ten being paid to travel the world and drink ridiculous amounts of alcohol. In 1995, sick of writing postcards and having fun, he decided it might be time to do something a bit more sensible. And it doesn’t get more sensible than doing a law degree. So he did Social Work instead. Two years later, as pimply-faced, naive social worker he started working in Cumbria as a probation officer. Sixteen years later, he took the plunge and accepted redundancy to become a full time writer. He now has different motivations for trying to get inside the minds of criminals. Mike’s first DI Avison Fluke novel, Born in a Burial Gown, was shortlisted for the Crime Writers’ Association Debut Dagger Award and was published on 11th June 2015 by Caffeine Nights. Also available is his award winning collection of short stories featuring Fluke and his colleagues from the Cumbrian Force Major Incident Team, Assume Nothing, Believe Nobody, Challenge Everything. 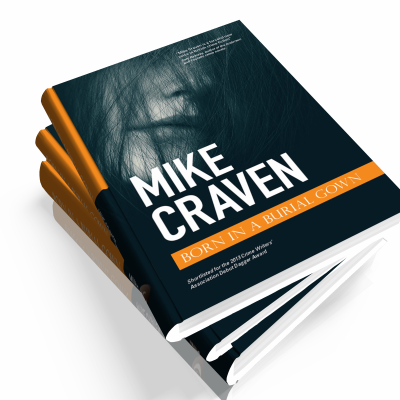 Mike is a member of both the Crime Writers’ Association and the International Thriller Writers’ Association. 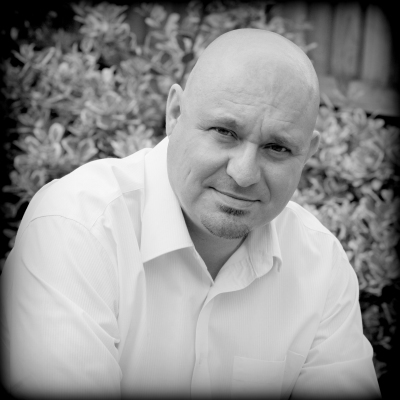 He is represented by David Headley at DHH Literary Agency. Shot once in the back of the head, execution style, it is a cold, calculated murder. When the post-mortem reveals she has gone to significant expense in disguising her appearance, and the only clue to her identity is a strange series of numbers, Fluke knows this is no ordinary murder. With the help of a psychotic ex-Para, a gangland leader and a woman more interested in maggots than people, Fluke must find out who she was and why she was murdered before he can even think about finding her killer. As the body count rises and his investigation takes him from poverty stricken estates to picture perfect Lake District villages, he realises his troubles are only just beginning. Betrayals of trust, poker cheats, ambitious barristers, cyber bullies, lost diplomats and revenge are just some of the themes explored in this collection of short stories. 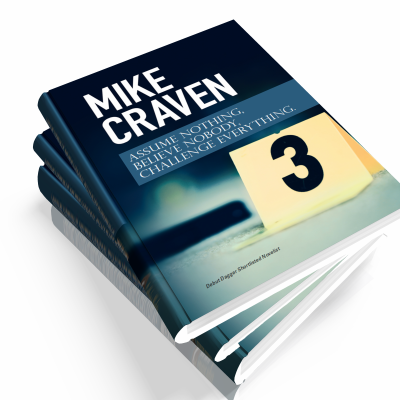 As Mike Craven introduces Detective Inspector Avison Fluke and the rest of his characters from Cumbria’s Major Incident Team, in tales where little is as it seems, the only thing you can do is Assume Nothing, Believe Nobody, Challenge Everything. Investigating a severed hand found on the 3rd green of a Cumbrian golf course was not how Detective Inspector Avison Fluke had planned to spend his Saturday. So when a secretive unit from London swoop in quoting national security, he’s secretly pleased. But trouble is never far away. A young woman arrives at his lakeside cabin with a cryptic message: a code known to only a handful of people and it forces Fluke back into the investigation he’s just been barred from. In a case that will change his life forever, Fluke immerses himself in a world of new age travellers, corrupt cops and domestic extremists. Before long he’s alienated his entire team, made a pact with the devil and been arrested under the terrorism act. But Fluke is only getting started. A voice has called out to him from beyond the grave and he has no intention of ignoring it.